Work has started on a new £2 million development that will accommodate six new industrial units, located on Terminus Road, Chichester. 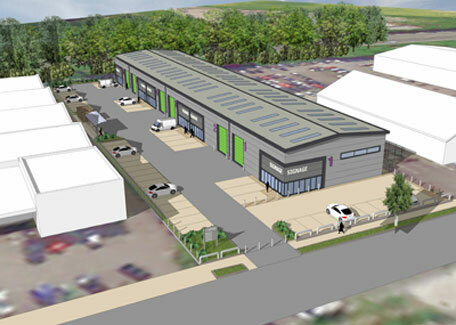 This is the second building project on the Terminus Road Industrial Estate that has been commissioned by Chichester District Council to help boost the local economy. The industrial units are based on Plot 21, which was previously home to Goodwood Metalcraft. The redundant building, which was no longer suitable for modern business needs, was demolished to make space for the new units, which should be completed by summer 2018. Councillor Tony Dignum, Leader of Chichester District Council, said: "One of the key aims of this scheme is to improve the area's economy by attracting new employers. It could also provide an opportunity for existing businesses in the area who are seeking to expand and move to new premises. "This project will add to our portfolio of business accommodation, allowing us to offer a variety of options for local businesses. The new Enterprise Centre, located in Terminus Road, will offer start up business accommodation from Spring 2018, plus we also currently offer options to businesses at the Woodruff Centre in Terminus Road and the St James' Trading Estate.